If bubble tea is what you're after, look no further than this new business. Located at 9750 Bellaire Blvd., Suite 188, in Chinatown, the fresh addition is called Mr. Wish. With a four-star rating out of eight reviews on Yelp so far, Mr. Wish has made a promising start. 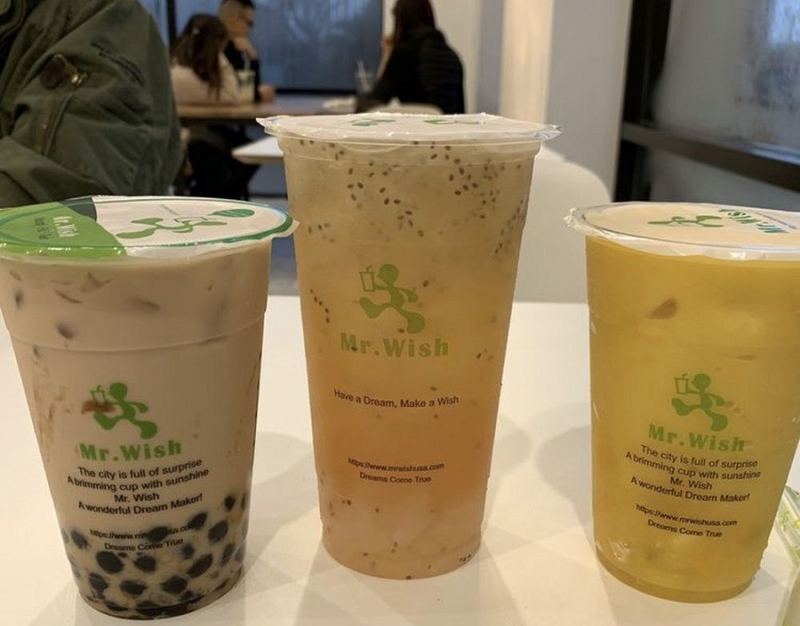 TaNa N., who was among the first Yelpers to review the new spot on Dec. 11, wrote, "This place uses real fruit for drinks compared to other boba places that use artificial flavors. I can actually taste the fresh orange juice and passionfruit seeds inside the wish special fruit tea!" Yelper Johnny M. added, "This new tea house is a must. The flavors are amazing. It's so refreshing -- tastes more natural. Cool ambiance and chill place." Swing on by to take a peek for yourself: Mr. Wish is open from 10 a.m.-11 p.m. on Monday-Thursday and Sunday and 10 a.m.-midnight on Friday and Saturday.